The Sonoma Collection brings inspired design and intelligent functionality to the modern bathroom. Featuring soft-close drawers with state-of-the-art Blum hardware, the 63-inch Sonoma vanity respects the serenity of your bathroom oasis. The wall-mounted style saves space and the striking Restored Khaki finish pleases the eye. Match the vanity with the handsome coordinating wall cabinet and mirror for a stunning ensemble look. Top not included. Style. Function. Versatility. The 24-inch Brooks vanity will be the cornerstone of your bathroom, providing ample storage space in a compact design. Featuring an elegant white finish and clean lines, the Brooks embraces a transitional aesthetic that is timeless and pure. Match your vanity with a complementary top, mirror and medicine cabinet to complete the design of your dreams. Sonoma 63-Inch Vanity Cabinet in Restored Khaki The Sonoma Collection brings inspired design and intelligent functionality to the modern bathroom. Featuring soft-close drawers with state-of-the-art Blum hardware, the 63-inch Sonoma vanity respects the serenity of your bathroom oasis. The wall-mounted style saves space and the striking Restored Khaki finish pleases the eye. Match the vanity with the handsome coordinating wall cabinet and mirror for a stunning ensemble look. Top not included. Sonoma 63-Inch Vanity Cabinet in Restored Khaki is rated 2.0 out of 5 by 3. Rated 4 out of 5 by RightBrain from I installed this vanity in my master bath and I am pleased with its appearance and construction. ... I installed this vanity in my master bath and I am pleased with its appearance and construction. 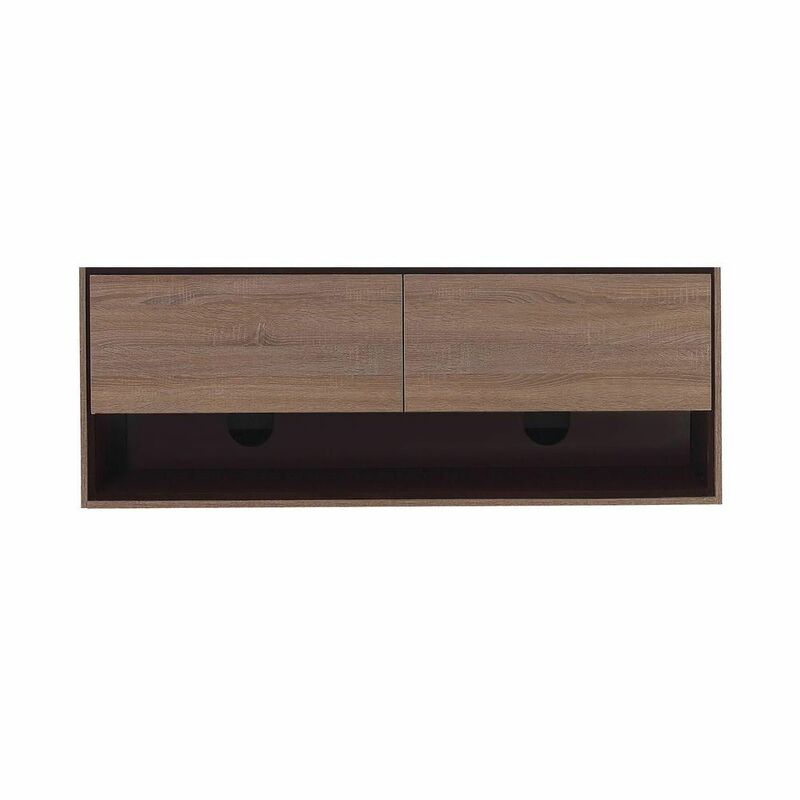 The cabinet is mostly laminated plywood making it a cut above other vanities in this price range. The integrated sink top, surprisingly, is cast stone not the acrylic that I expected. Cast stone is the preferred material on high end vanities so when installed this unit appears to cost far more than it does. Drawers are Ikea-like, but function well and good clearance allows for tall containers. I docked them a star for their bizarre instructions and included hanging hardware which is for concrete or masonry walls! Is there someone out there with conc or brick wet walls? No hanging bracket for typical stud walls was included. My remedy was to place a 1X2 ledger underneath the unit, this is not visible and supported it well. If the walls are open install blocking across the top and bolt through the back rail. Rated 1 out of 5 by AM from This product is terrible; showed up today damaged, and is all cheap laminate finish with terrible... This product is terrible; showed up today damaged, and is all cheap laminate finish with terrible seams. "Wood" finish looks like it was printed on a piece of paper. I've seen $200 vanities in better quality. Now I have to truck back to a home depot to return it. Rated 1 out of 5 by Sanford from Horrible. Arrived damaged and was made of cheap materials. I... Horrible. Arrived damaged and was made of cheap materials. I returned it immediately.